I went 56 plus years without breaking anything more serious than a toe. Ending that streak was not how I wanted to end 2013 or begin 2014. I misjudged a step and got what we thought was a badly sprained ankle. The radiologist begs to differ. There is a fracture of the medial malleolus without significant displacement. There is also a possibly spiral fracture of the distal fibula without significant displacement or angulation. My knowledge of human anatomy is somewhat lacking so I had to search the Interwebs for some pictures of these bones. Translated to plain English, I broke the ankle bone on the inside part of my leg and probably broke the other leg bone near the end. The nurse, physician, and X-ray technologist at the urgent care center where I went this afternoon were all really nice and really great. They did a really quick job of splinting my leg once they confirmed it was broken. I am fortunate that it isn't worse and that it doesn't hurt more. While I was offered some powerful pain meds, ibuprofen seems to be keeping the pain and discomfort at bay. My biggest problem is learning to use crutches without causing myself more harm. I have gained an even greater respect for those in our armed forces (or anyone, for that matter) who have suffered much more traumatic injuries to their lower limbs. Being forced to rely on crutches for even this limited period really puts the inconvenience of it all into perspective. I am lucky to have the Complementary Spouse who is a highly experienced registered nurse caring for me. She makes sure I am doing things right and avoiding doing stuff that would make it worse. I go to the orthopedic doctor tomorrow to get my "real" cast. With luck, I'll be able to ditch the crutches sooner than later. UPDATE: First, let me thank all who have sent their good wishes. I really appreciate it. Met with the orthopedist this morning. He said my bones were very strong which kept the break from being worse. He also noted that the force had to be pretty strong to have broken my leg. The doc said no surgery was indicated and that I could get by with an orthopedic boot instead of a cast. The boot will make it easier as I can take it off when needed. All in all, while I wouldn't have wanted to break my leg, it wasn't nearly as bad as it could be. Blogging will be sporadic until the New Year. We are out in the frozen tundra of flyover country visiting family as well as cleaning out the Complementary Spouse's mother's house getting it ready for an auction. Grace is now living in a senior living center now and it is time to sell. It is incredible how much stuff can be accumulated over 84 years of life, 50 years of marriage, and three kids! My job is to sort through the financial records deciding what to keep and what to toss. The only problem is that they kept records of such good detail that it would cause a tax accountant's heart to flutter. So, in the meantime, enjoy playing with your presents and cherish your time with family. We're all gathered in the den watching A Christmas Story and that got me to thinking. I know there are tons of Photoshops of Ralphie with an AR15 but I wondered if there were any Photoshops of Ralphie with an AK. 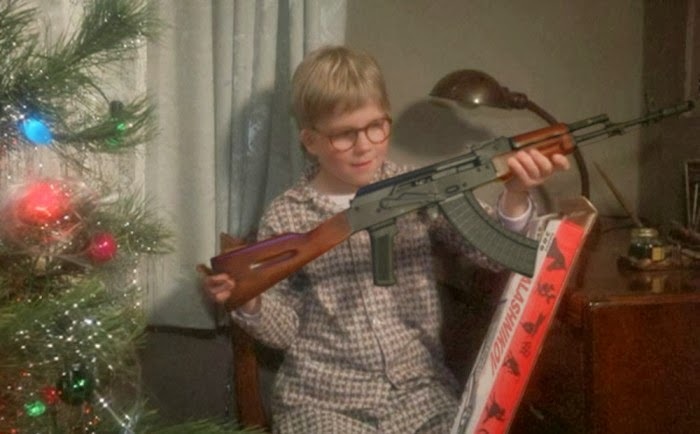 With Mikhail Kalashnikov passing away yesterday, I thought it would be more appropriate for Ralphie to have an AK. And if he doesn't get some more control, he'll shoot someone's eye out! 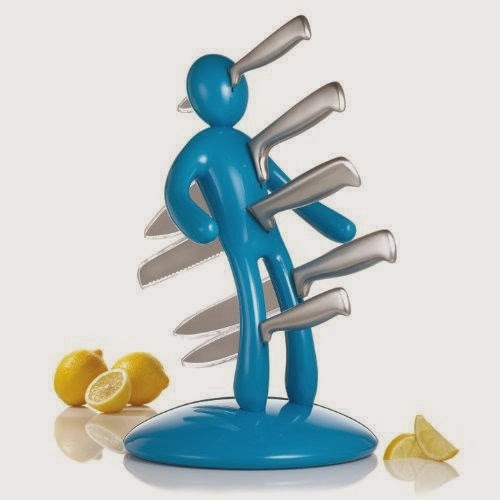 This would make an interesting Christmas gift for someone who is into voodoo. Or someone to whom you are trying to send a message. It is selling on EBay for $89.97. The seller has other colors available. The Ministry of Defense for the Baltic nation of Lithuania is purchasing the FNH SCAR-H PR for their military's land forces. Lithuania’s Ministry of Defense has ordered FN SCAR-H PR semi-automatic rifles for the country’s armed forces. The 7.62 mm rifle is produced by Belgian arms manufacturer FN Herstal. The contract is worth 9.6 million litas (US $3.9 million), the ministry said in a statement. Deliveries of the weapons are scheduled to begin in 2014. The FN SCAR-H PR rifles will be supplied to the Lithuanian land forces. The weapons are to be fitted with rifle scopes made by German manufacturer Schmidt & Bender. The amount of rifles ordered was not disclosed by the ministry. The Land Forces have 3,500 regulars and 4,700 volunteers or reservists. It is composed of one heavy mechanized infantry brigade of three infantry battalions and one artillery battalion. Given the size of the contract and that it is for a semi-auto rifle, I'm guessing it is intended for arming their equivalent of the squad designated marksmen and not for universal use by the Land Forces. The Land Forces are currently equipped with the Heckler & Koch G36. 90% Support Universal Background Checks? You know how all we've heard for the past year is that 90% of Americans support universal background checks? Well, not so fast. The National Shooting Sports Foundation has released a poll today that shows only 40% of Americans want universal background checks at gun shows. The difference in the poll results is because contextual detail was added to the question. Instead of asking do you want to close the "gun show loophole" or other such nonsense, the poll points out that most sales at gun shows are conducted with background checks and are by FFLs. The poll goes further. Only 39% of respondents thought that requiring a background check for transferring a firearm between friends or family members would reduce violent crime. That's a long way from 90% in my calculations. The poll was conducted in November for NSSF by McKeon and Associates. The poll sample included over 1,200 respondents and contained a margin of error of +/- 4.1%. NEWTOWN, Conn. -- Only four out of ten Americans support so-called "universal background checks" at gun shows after being informed that the vast majority of firearms sales at these shows are transacted by licensed retailers that already conduct such checks through the National Instant Criminal Background Check System (NICS) as required by federal law. The poll results stand in contrast to the vague claim often reported in the media and attributed to gun control proponents without important contextual detail that 90 percent of Americans surveyed support "universal background checks. "These findings were the among the results of a national scientific poll of more than 1,200 Americans conducted in November by McKeon & Associates and released today by the National Shooting Sports Foundation (NSSF), the trade association for the firearms and ammunition industry. The McKeon poll found that only 40 percent of respondents said that extension of "universal background checks" to private transactions at gun shows are necessary, while 53 percent said they are not necessary and 7% said they did not know. The Americans polled also said by a combined 74 percent margin that conducting background checks against an incomplete database was not effective at all or not very effective while 54 percent said that requiring background checks for transferring guns between friends and family members was not at effective at all or not very effective in reducing violent crime. The poll also discovered that 92 percent of Americans agree that the states should submit all records of persons federally prohibited from owning a firearm to the FBI’s National Instant Criminal Background Check Systems (NICS), passing legislation if needed. "We commissioned this poll to help determine where Americans stood on the various aspects of how the NICS system actually works today," said Larry G. Keane, NSSF senior vice president and general counsel. "When properly informed of relevant details, it turns out that only four out of ten, not nine out of ten Americans support so-called 'universal background checks' at gun shows or for firearms transfers. The poll also found that Americans want a National Instant Criminal Background Check System with a dependable and accurate database, which supports the goal of the FixNICS initiative we launched in 2013 and will continue in 2014." The poll conducted Nov. 6-7 has a margin of error of +/- 4.1 percent. Respondents self-identified as 33 percent Democrat, 26 percent Republican and 41 percent independent. As to ethnicity, 62 percent of respondents said they were Caucasian, 18 percent African-American, 11 percent Hispanic; and 9 percent, other. As to age, 20 percent of respondents said they were 18-30; 36 percent, 31-45; 23 percent 46-60; and 21 percent, 60 or older. The "real" 'Possum Drop returns! Last year, Clay Logan, organizer of the annual New Year's Eve Possum Drop held in Brasstown, North Carolina, had to resort to using an opaque box covered with pictures of an opossum. That was because of a ruling that PETA won from an administrative law judge. This year, tradition returns due to the General Assembly passing a law specifically allowing the NC Wildlife Resources Commission to issue permits for events such as the 'Possum Drop. The famous New Year’s Eve ’Possum Drop might be back to normal this year under a permit issued by North Carolina on Friday. The state Wildlife Resources Commission says Clay Logan, owner of Clay’s Corner, has permission to capture an opossum, which he plans to lower in a clear plastic box in a parody of the ball drop in Times Square. PETA is not taking this change in the law well. They plan to file a lawsuit in Raleigh to stop the event from using a live opossum. Martina Bernstein, PETA’s director of litigation, said the group will be back in court Monday to argue the license fails to comply with state law. “Opossums are shy, timid animals, and PETA has presented (the wildlife commission) with overwhelming evidence supporting its position that dangling a live opossum above a stage amid fireworks and raucous crowds is cruel and causes stress that is likely to kill the animal days or weeks after the event,” she said in a written statement. If PETA is so unalterably opposed to this event, I might suggest Ms. Bernstein could volunteer to dress up as an opossum and take the place the live opossum being used in the 'Possum Drop. She would be taking a risk as I've never seen an opossum yet that has safely made it across the road. Thanks to the City of Seattle's obstructionism, the Second Amendment Foundation is $38,000 richer. SAF had filed a public documents request regarding the city's gun buyback held in January of this year. While SAF received some documents, hundreds more were "accidentally overlooked" in anti-gun Mayor Mike McGinn's office. The Second Amendment Foundation had sued the city in King County Superior Court back in July for violating Washington's Public Records Act. BELLEVUE, WA The Second Amendment Foundation has accepted a $38,000 settlement from the City of Seattle for the city's failure to release public records about the city's gun buyback in January. As part of the agreement, the city has acknowledged that it did not promptly or properly provide all of the documents sought by SAF under the Public Records Act. SAF was represented by Bellevue attorney Miko Tempski. "It is a shame that this had to drag out so long," said SAF founder and Executive Vice President Alan M. Gottlieb, "but the important thing is that the city, and outgoing Mayor Mike McGinn's office has been held accountable for sloppy handling of our request. One would have thought the city had learned something earlier this year when the police department had to pay the Seattle Times $20,000, for also not providing requested documents. "Maybe the citizens of Seattle can consider this a Christmas gift from the departing mayor," he remarked. "This would not have been necessary had McGinn's office done its job." SAF had pursued e-mails and other documents related to the January buyback, which was conducted in a parking lot underneath I-5 in downtown Seattle. The operation was something of an embarrassment that even Washington Ceasefire President Ralph Fascitelli had advised against, the recovered e-mails revealed. Earlier the city had supplied some of the requested documents, but a story in the Seattle P-I.com revealed there were other materials that had not been provided to SAF by Mayor McGinn's office. "It seems hard to conceive," Tempski said, "how you could accidentally overlook hundreds of documents and how that could be unintentional." "The settlement," said Gottlieb, "will help SAF continue its legal work. Hopefully, we will see better performance from a new city administration in January." I'm a few days late on reporting this but on Monday the NRA filed suit in US District Court for the Northern District of California, San Jose Division against the City of Sunnyvale and their Measure C which contains a magazine ban. The lawsuit is entitled Fyock et al v. City of Sunnyvale et al and is being handled by California attorney Chuck Michel. The suit seeks declaratory and injunctive relief on the grounds that the new ordinance violates the Second Amendment. This makes the second lawsuit against the City of Sunnyvale over Measure C. The National Shooting Sports Foundation filed their lawsuit a week earlier in Santa Clara County Superior Court. Several Sunnyvale residents have filed a lawsuit supported by the National Rifle Association, challenging the City’s recent ban on the possession of magazines capable of holding more than ten rounds. The federal, Second Amendment-based legal challenge is part of a campaign of nationwide litigation filed and supported by a variety of individuals, civil rights groups, and law enforcement officers and associations. The coordinated lawsuits seek to confirm that the Second Amendment protects these common standard-capacity magazines for self-defense and sporting purposes. Firearms equipped with magazines capable of holding more than ten rounds have been around for nearly two centuries. Today, these firearms are possessed by millions of law-abiding citizens for a variety of lawful purposes, including self-defense. And the U.S. Supreme Court has affirmed that self-defense is the “central component” of the Second Amendment. As most gun owners already know, magazines holding more than ten rounds are standard equipment for many popular pistols and rifles throughout the country. In fact, most pistols in the United States are manufactured and sold with magazines holding between ten and seventeen rounds. The majority of law enforcement officers in the United States acknowledge that banning standard-capacity magazines capable of holding more than ten rounds will not increase public safety. There is now a growing trend of law enforcement organizations actively opposing and challenging these measures in court. The San Francisco Veteran Police Officers Association (SFVPOA) recently filed a lawsuit challenging San Francisco’s recent ban on the possession of standard-capacity magazines. In Colorado, a broad coalition of law enforcement officials filed suit against that state's recently-enacted ban on common magazines. Earlier this year in New York, the State Sheriffs Association, the Law Enforcement Legal Defense Fund and individual law enforcement officers filed an amicus brief in support of a challenge to the state ban on common rifles and magazines. And in Connecticut, a coalition of individual law enforcement officers and the Law Enforcement Legal Defense Fund filed another legal brief in support of pending challenge to similar laws. The Sunnyvale ordinance essentially allows for confiscation of any prohibited magazines and, because of state laws restricting their transfer, they cannot be replaced. Sunnyvale's ordinance took effect on December 6, 2013. Residents of Sunnyvale then have until March 6, 2014 to turn over their lawfully-possessed magazines to the police, remove them from Sunnyvale in the few cases where it might be legal or transfer them to a licensed firearms dealer. Lawyers at Michel & Associates representing the plaintiffs will seek an injunction to prevent Sunnyvale from enforcing this law. The plaintiffs are prepared to appeal this case as high as necessary to have this misguided ordinance declared unconstitutional. This important Second Amendment issue may ultimately be addressed by the U.S. Supreme Court. By allowing residents and visitors to Sunnyvale to only possess reduced-capacity magazines, the City has arbitrarily limited the number of rounds that its law-abiding residents have to protect themselves and their loved ones. Hunters and sport shooters traveling through Sunnyvale with these magazines can also be prosecuted, even if they are unaware of this law. Even active law enforcement officers are forced to surrender their magazines and cannot possess anything but reduced-capacity firearms for self-defense in their homes. Although this law strangely exempts some retired law-enforcement officers who are authorized to carry a concealed firearm, it only exempts magazines possessed by active law enforcement officers while acting in the course and scope of their duties. Police officers who have any magazines over ten rounds in their personal collections, or any magazines they were authorized to purchase for off-duty use, must dispose of those magazines. If they don’t, the officers will become criminals. The same is true for active law enforcement officials in San Francisco where the City Attorneys Office confirmed that only official-duty magazines issued by the Police Department are exempt. Family members of law enforcement officers are also at risk. If an officer leaves the house without locking his or her magazines away, anyone who is present in the home will be in violation of the law. These misguided laws also place thousands of state and federal law enforcement officials who travel through Sunnyvale and San Francisco in jeopardy. Many off-duty law enforcement officials lawfully carry a firearm with a magazine that holds more than ten rounds when traveling in other cities and states. Every time these officers travel into San Francisco or Sunnyvale, they will be in violation of the law and subject to criminal prosecution. Sunnyvale’s decision to limit law-abiding citizens to magazines holding a maximum of ten rounds endangers the public by giving violent criminals an advantage and decreasing the likelihood that a victim will survive a criminal attack. Of course, criminals who wish to carry out violent attacks will not be thwarted by the City’s restriction since they ignore all gun control laws. Criminals will simply continue to do what they have always done – buy and possess magazines on the black market or carry multiple firearms to complete their violent crimes. The Sunnyvale magazine ban is part of a gun control package known as “Measure C” – a ballot measure that was passed by Sunnyvale voters earlier this year. Litigation has already been filed by the National Shooting Sports Foundation challenging the law’s ammunition sales registration requirements, which are preempted by state law and violate state privacy protections. All the case documents can be found on the Michel and Associates website here. After the City of Sunnyvale (California) passed Measure C which included among other things magazine bans, the CalGuns Foundation decided to do a little digging using California's California Public Records Act. What they found out was quite interesting and just show hypocritical the city's own policies and practices are when it comes to firearms and magazines. For example, residents of Sunnyvale aren't allowed to possess magazines with greater than a 10 round capacity. However, police officers are required to have loaded 20 round magazines in their issue AR-15 along with two spares stored in the trunk of their police cruiser. Another example is that the City of Sunnyvale's Public Safety Department, Traffic Safety Unit has not one but two Heckler & Koch MP7 Personal Defense Weapons. You and I couldn't own one of these even if we paid the $200 NFA tax stamp because of the Hughes Amendment. However, Sunnyvale considers these essentials weapons for a unit whose mission is "to ensure the safe and orderly flow of pedestrian, bicycle, and vehicular traffic." Could someone in Sunnyvale please explain to me why a motorcycle cop needs a full auto sub-machine gun to stop jay walkers and to make sure bicyclists stay in the bike lanes? Read CalGuns release below and make sure to scan through the documents that they obtained from the City of Sunnyvale. They make for interesting reading. You know that the SHOT Show is less than a month away as we are starting to see more and more announcements regarding new firearms. Ruger announced their LCRx yesterday. It is an external hammer version of their polymer, steel, and aluminum LCR revolver. The external trigger allows the revolver to be shot single-action as well as double-action. 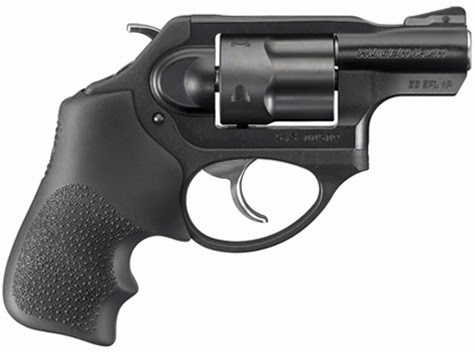 The LCRx is only available currently in .38 Special +P. Barrel Length: 1.875" Overall Length: 6.50"
Other than the external hammer which allows the LCRx to be used single-action, it is identical in size and weight to the original LCR. Michael Bane made the observation yesterday that he thought this year's SHOT Show will be evolutionary rather than revolutionary. Looking at the Ruger LCRx, I'd say this is on the mark. Now if someone asked me what I'd like to see introduced or reintroduced, it would be the Colt Detective Special with an enhanced trigger and in .38 Special +P. I like the idea of an extra round in a small package. However, I'd settle for revolversmith Grant Cunningham opening up his waiting list so I could send him my Detective Special for tuning. Or is it Illegal Mayors Demand Action (with) Moms? More appropriately, Moms Demand Action Against Illegal Mayors. In case you haven't heard, Mayor Bloomberg's Illegal Mayors and I'm Just a Stay-at-Home Mom Shannon Watt's Demanding Moms have agreed to merge. Outgoing New York City Mayor Michael Bloomberg's Mayors Against Illegal Guns on Thursday will announce that it is joining with Moms Demand Action for Gun Sense in America, a year-old grassroots campaign launched the day after the Dec. 14, 2012, shootings at Sandy Hook Elementary School in Newtown, Conn. The combined group will align Bloomberg's deep pockets with the strong social network and media savvy the mothers' group brings. The billionaire founder of Bloomberg News said last week that he'll "devote extensive resources of my own" to the effort. In a statement Wednesday, Bloomberg said, "Gun violence is, unfortunately, an issue that affects every community, and coming together with Moms Demand Action today will strengthen our efforts to keep guns out of the hands of dangerous individuals and save lives." As Say Uncle noted last night when he first reported this story, "Except that there is no grassroots and there is no high profile." "This seems analogous to a corporate takeover, where a large company sees the advantage of acquiring the social media and brand of a target company, but their agendas are the same. In this case, their anti-Second Amendment agendas won't change," he says. There is no word yet from Mr. Gabby Giffords who I imagine is a bit miffed that Bloomberg didn't pick them as a merger partner. The Coalition to Stop Gun Violence (sic) calls this a "game changer" on their Facebook page because they think it will give gun control "a fully-funded national grassroots movement." Yeah, right but Josh and Ladd are still stuck in an office above a coffee shop. * The headline is courtesy of a tweet by Gene Hoffman. Ranges are not simply places to shoot. They are the entertainment interface for firearms. Buying a gun is cool. But if all you do is sit around you house looking at it, drooling and bragging online about the shiny new super-blaster you bought, then you are just collecting guns...and dust. Taking that gun to the range, shooting with others, even entering competitions, is where we fully exercise our Second Amendment rights. And not only do we exercise them to their fullest, we strengthen our rights. Ranges are where we turn a new gun owner into a gun enthusiast of the highest order. The role of the range is therefore critical. I never thought of a shooting range as "the entertainment interface for firearms" but that is exactly what they are. I remember the first range I ever went to with my best friend in high school. It was little more than a clearing in a power easement with a 100 yard range. I don't remember if it even had any benches. But it was place to shoot and you could plink away to your heart's content. It is where I learned shooting could be fun. I make no secret of my disdain and disgust for the supporters of the People for the Ethical Treatment of Animals (PETA) whom I call PETAfiles. Now they have gone so far beyond the pale that I am left wondering if they are suffering from rabies given their rabid attack on a Pennsylvania teen who was bitten by a bear while deer hunting. Camille Bomboy of Lock Haven, PA was attacked by a female bear while deer hunting near her family's farm. The attack almost caused Bomboy to lose an ear. She had inadvertently gotten between a mother bear and her cubs which may have precipitated the attack. After a brief stay in the hospital, Bomboy is home with her family. This seems to be a good opportunity to put yourself in the place of the individuals you and the rest of your hunting party were trying to kill. As terrifying as it must have been to be attacked by a bear, please consider the frightening and painful experiences that hunters set out to impose upon animals. There used to be a bumper sticker that read, “I support the right to arm bears!” That was a joke, but in all seriousness, it would be a blessing if you were to abandon hunting and decide to live and let live. You have to wonder in what sort of warped universe these zealots live. To add insult to injury, PETA sent their Senior VP Lisa Lange to Fox News to discuss it. Lange said to Gretchen Carlson that this incident might cause Bomboy to sympathize with the animals she is hunting. The video of the interview can be seen here. Any time that a gun rights organization holds training or educational events for youth they get accused of indoctrination by the gun prohibitionists. Well, the NRA Foundation and the Friends of the NRA are sponsoring 45 scholarships for the NRA Youth Education Summit in 2014. Forty-five outstanding current high school sophomores and juniors from across the United States are chosen each year to travel to the nation’s capital, where they participate in the weeklong educational opportunity. The summit encourages young adults to become active and knowledgeable U.S. citizens by learning about the Constitution and Bill of Rights, the federal government, and the importance of being active in civic affairs. The 2014 summit will take place Monday, June 23 - Sunday, June 29. Click here to download the application to get started today! Informative tours at historic sites and monuments in and around Washington, D.C.
Meeting national leaders from Capitol Hill and around Washington, D.C. In addition to the week in Washington D.C., Y.E.S. participants compete for $30,000 in college scholarships. The first round of awards totals $15,000 and is given at the conclusion of the Y.E.S. program. A second round of scholarships is comprised of $15,000 and involves a second application, available to the participants after they go through the Y.E.S. program. Since the program’s inception in 1996, more than 700 students have graduated from Y.E.S. and over $400,000 in scholarships has been awarded. Entry into the program requires submission of a completed application form, high school transcript, three-page essay on the Second Amendment, one-page personal statement, and three letters of recommendation. This is enough to cause the Sarah Bradys and Shannon Watts of the gun prohibitionist world to have the vapors. As if that was not reason enough not to encourage a high school sophomore or junior to apply, here are 10 more in Traditions magazine. Let me start this off by saying I was raised by a single mother. As I've alluded to many times, my father was an Army careerist. I am the unusual Army brat in that I didn't move from base to base. My parents made the decision long before I was born that my dad would move base to base and on deployments while my mom maintained the family home in North Carolina. It don't know why they came to this arrangement but it just was what they did. The result was that I saw my dad on occasional weekends and when he got leave. While my parents officially separated when I was nine, it really didn't change the reality of things for me. W. Bradford Wilcox of the American Enterprise Institute has a very interesting article in the National Review Online regarding what he calls "sons of divorce" and school shootings. He notes that most school shootings over the past year from Newtown to Arapahoe High School have involved young men whose parents were divorced or never married. Wilcox goes on to say that upheaval at home often finds its way to the world outside. Why is fatherlessness such a big deal for our boys (almost all of these incidents involve boys)? Putting the argument positively, sociologist David Popenoe notes that “fathers are important to their sons as role models. They are important for maintaining authority and discipline. And they are important in helping their sons to develop both self-control and feelings of empathy toward others, character traits that are found to be lacking in violent youth.” Boys, then, who did not grow up with an engaged, attentive, and firm father are more vulnerable to getting swept up in the Sturm und Drang of adolescence and young adulthood, and in the worst possible way. I was lucky in that I had a strong (and strong willed) mother who had taught high school for many years and was used to dealing with adolescent boys. I also had many good male role models in my life including uncles and Scout leaders. My father, while absent from my life for long stretches of time, did his best to keep involved through letters and through making sure I got plenty of good attention when he was at home. I still remember some of the fishing trips we took. I think it is harder for young men and boys nowadays. Divorce is more prevalent, the media and the entertainment industry have denigrated the role of fathers in the family, and bullying in schools is more insidious through the use of social media. Good male role models are fewer and farther between. I don't want to even get started on the role of schools and their emasculating curricula. Supporting and promoting the family as well as activities such as Scouting and organized athletics would not cure the problem of these broken young men but it might be a good start. We are taking off to Boiling Springs, North Carolina in a few minutes to attend commencement at Gardner-Webb University. My stepdaughter Laura is receiving her MA in Elementary Education this morning. She finished what is normally a two year program in a year and a half and she did it with distinction. The Complementary Spouse and I are extremely proud of her accomplishment. The mascot of Gardner-Webb is the Bulldog and the mascot of UNC-Greensboro where she received her undergraduate degree is the Spartan. I guess that makes her a Spartan Bulldog. Given the way she battles for her kids against the educational bureaucracy, I think that is appropriate. As I mentioned in my weekend roundup, Kaaren Haldeman, North Carolina state director of Moms Demand Action, refused to let Sean Sorrentino into their event at Holy Cross Catholic Church in Durham on Saturday. Sean says in his blog today that it was projection on her part. While she might have disrupted a pro-rights event, he would have never disrupted their event especially in a house of worship. Moms Demand Action are trying to use their supposed moral superiority to stifle any discussion of their proposals for more gun control. In a republic, it doesn't work that way. Both sides of a debate should and must be heard for us to survive as a free society. The video from the event is below. Sean, who has been studying this for a long time, makes the excellent point that most violent crime is committed by those with a criminal past. The weekend started out with a shooting at Arapahoe High School in Colorado. That it just happened to be on the eve of the first anniversary of the Newtown shootings may be just a coincidence. But like Tam, I doubt it. The shooter turned out to be a disgruntled student who had a beef with the debate coach. Like all rampage shooters, he intended to wound or kill as many as possible. Again, like many rampage shooters in the past, when confronted by an armed school resource officer, he killed himself after severely wounding Claire Davis. And the shooter's firearm of choice? A pump-action shotgun legally purchased on December 6th after the shooter went through a background check. The media has stepped up and performed its usual role of publicizing everything about the shooter. The only thing that they scrubbed from their description of him was a classmate's characterization of the shooter as "a very opinionated socialist." It became just "very opinionated". With Saturday being the first anniversary of the Newtown shootings, the gun prohibitionists were out in force. It started at the top with President Obama's weekly address calling for more gun control. So-called stay-at-home mom Shannon Watts and her group of demanding moms were out in force with their No More Silence events. North Carolina wasn't immune to their events. I know we had one in Asheville and one in Durham. At the latter event, Sean Sorrentino was denied entry to Holy Cross Catholic Church by their state director Kaaren Haldeman who didn't want his sort at their event. As Miguel says, once again we are the new negroes. One of the words we keep hearing is consensus. As in a national consensus for universal background checks or a national consensus to do more to prevent "gun violence" (sic). The other words are "common ground". This is the line that Richard Feldman of the Independent Firearm Owners Association and Arkadi Gerney of the Center for American Progress are pushing in an op-ed in today's LA Times. In exchange for us giving up on universal background checks, we might get a national carry law - a carry law with nationally-mandated training, etc. Michael Bane does an excellent job at taking apart this "grand bargain". As for me, I am immediately suspicious of anything coming from Gerney who is the former executive director of Mayor Bloomberg's Illegal Mayors. Mr. Feldman may have done things to advance gun rights in the past when he was a NRA lobbyist but now seems just to be clinging to anything that will give him relevance. What Mike Bloomberg cannot achieve at the national level, he plans to try to do at the state level. We saw what he did in Colorado. Kurt Hofmann reports that Mark Glaze considers the $15 million spent previously just dipping a toe in the water and that we should watch what a whole foot will do. David Codrea expands on Kurt's report to discuss efforts by Bloomberg in the states. An off the wall article in Salon, accuses those of us who believe in gun rights of having a "sick gun fetish" and and "Tea Party fantasies". The article also accuses us of misreading the Second Amendment. I guess the "bitter clinger" here is the author who clings to a definition of the Second Amendment that the Supreme Court said was erroneous in the Heller case. With the recent death of Nelson Mandela, I guess it isn't surprising that the gun prohibitionists are starting to wax nostalgic about the anti-apartheid divestiture movement and wondering if it could work again. They cite Cerberus and its goal of selling Remington Outdoor aka Freedom Group due to pressure from pension funds. In the meantime, Remington's Ilion, New York plant can't make guns fast enough because sales have surged. The Bureau of Alcohol, Tobacco, Firearms, and Explosives is coming under fire from The ARC who works with intellectually and developmentally disabled people. This is due to the BATFE's use of mentally challenged persons in their sting operations. The ARC is calling for Attorney General Eric Holder to stop this practice and to have the DOJ Inspector General to start an investigation into it. And finally, NPR did a report on Thursday about the Maryland Tenth Cavalry Gun Club. They are an organization of African-American shooters who seek to introduce black youth to responsible gun use along with a dose of history. The club takes its name from the 9th and 10th Cavalry Regiments and the black cavalrymen known as the "Buffalo Soldiers". In one of the latest videos from the National Shooting Sports Foundation, Jim "Long Hunter" Finch talks about how he goes about practicing for a match. While not everything about Cowboy Action Shooting or, for that matter, competition is applicable to daily life, some of the practice tips he suggests are. I really like his suggestion that you practice not what you are with comfortable with but what makes you uncomfortable. In his case, as a natural right-hander, he's more comfortable drawing from his right side as well as with moving left to right. In his practice sessions, he reverses that so that he is practicing what doesn't come natural to him. BATFE Senior Agent John Dodson was interviewed about his new book and Operation Fast and Furious on Cam & Company on Monday. It is an interesting interview which touched upon not only Fast and Furious but the culture within BATFE that led to using developmentally disabled individuals as middlemen. I just picked up a copy of his book The Unarmed Truth: My Fight to Blow the Whistle and Expose Fast and Furious at my local Sam's Club. I am looking forward to reading it between now and the New Year. I'm glad to see it on the shelves at Sam's Club because this means both the book and the scandal will get more exposure. I spoke with one of the product demonstrators at Sam's who noticed the book in my cart. She was shocked when I told her the story behind Fast and Furious as she had never heard anything about it in the news. It is a good interview and it flows right along. I suggest listening to the whole thing. If It Is Gun Deer Season, Expect To See "Men With Guns"
Police in Ohio recently responded to two reports of "men with guns". The first report resulted in a lockdown of a high school and a middle school while the second had a number of police cruisers converging upon the scene along Interstate 70. What in the world is going on in Ohio to cause all these reports of "men with guns"? Deer season. Or more appropriately, deer season mixed with a healthy dose of hoplophobia. In the first case, Pickerington North High School and Lakeview Junior High were locked down for about 30 minutes when a student reported a man with a rifle near the schools, said Pickerington Superintendent Rob Walker. Fairfield County deputies determined that the man was a hunter on his own property. The same thing happened seven or eight years ago, Walker said. Still, he’s glad students are paying attention: “When in doubt, let’s err on the side of safety." In the second case, Columbus police cruisers converged on the Near East Side after reports of a man in camouflage with a gun near I-70 and Lilley Avenue. Officers soon declared it a nonemergency, saying the man was a lost hunter. As Miss Emily Litella would have said, never mind. "Carrying A Loaded Firearm Is The Gateway Crime To Committing A Murder"
Chicago Police Superintendent Garry McCarthy said in an interview with Dean Reynolds of CBS News that "carrying a loaded firearm is the gateway crime to committing a murder." He said this during the course of the interview discussing how the Chicago police seize 130 "illegal" guns a week. I don't know about you but I have a hard time wrapping my head around McCarthy's statement. Much of what McCarthy considers "illegal" is perfectly legal in the rest of the country. That would include such things as concealed carry, open carry, and firearms with standard capacity magazines. I see millions of Americans legally carrying a loaded firearm daily and murder does not begin to cross their minds even once. While the state of Illinois has passed their shall-issue concealed carry law, it still is in the process of being implemented and no Illinois CCWs have been issued yet. McCarthy points to the seizure of firearms as being responsible for the reduction in murders in Chicago this year. However, correlation is not causation especially when the police have concurrently stepped up their presence in high crime areas and put more resources into street-level intelligence gathering. If perhaps McCarthy put as much emphasis into suppressing violent street gangs as into suppressing firearms, Chicago might really see a dramatic decline in its murder rate. That would unfortunately deprive many Chicago politicians of a constituency so I doubt we'll be seeing that. McCarthy is pushing for a New York City-style law which provides a three year mandatory sentence for the illegal possession of a firearm. His efforts to get such a law passed in Illinois have stalled in the General Assembly. In a happy coincidence, Guns Save Lives Day is also Bill of Rights Day. Both take place on Sunday, December 15th. Given that the Second Amendment IS a part of the Bill of Rights perhaps it is more than a happy coincidence. One of the suggestions that the Citizens Committee makes as a way to observe Guns Save Lives Day is to attend a gun show. That's not a bad idea given all the hoopla that the gun prohibitionists will try and make the day before which is the anniversary of the Newtown shootings. I'm sure that the gun prohibitionist forces will try to gain publicity for some of their goals such as so-called universal background checks and closing the non-existent gun show loophole (sic). Originally, Guns Save Lives Day was scheduled for December 14th and it caused a lot of angst and gnashing of teeth about the politicizing of that sad day. Alan Gottlieb said at the time it was a coincidence that the day was the same as Newtown. Maybe yes and maybe no but in the end it was a smart move. It put the mainstream media on record in opposition to the politicization of the anniversary of the Newtown shootings. After getting them on record, CCRKBA and Alan Gottlieb moved the day to Sunday so as not to conflict with the anniversary of the Newtown shootings. BELLEVUE, WA – With dozens of gun shows scheduled around the country this weekend, the Citizens Committee for the Right to Keep and Bear Arms suggests that one way a gun owner can observe Sunday’s “Guns Save Lives Day” is to attend a gun show, and network with other firearms enthusiasts to protect the Second Amendment. “One reason why gun prohibitionists are so determined to shut down gun shows is because they provide a venue where tens of thousands of honest citizens regularly gather, share information, enjoy camaraderie and talk politics,” Gottlieb said. “After all, gun prohibitionists are shamelessly exploiting the first anniversary of the Newtown tragedy on Saturday to push their anti-gun rights agenda. If not a gun show, then visit a gun range and practice with your defensive firearm, he suggested. Guns are used in self-defense as many as 2.5 million times a year by some estimates, and in the overwhelming majority of those cases, a shot is never fired. Good marksmanship and firearm familiarity are two critical components to any personal protection strategy. People can also combine this Sunday’s observance with some Christmas shopping. Buy a new holster for the family member who has a defensive firearm, or a new box of ammunition, spare magazines or speed loaders. “Perhaps the most important consideration,” Gottlieb said,” is that ‘Guns Save Lives Day’ coincides with Bill of Rights Day. Without a strong Second Amendment all other civil rights are in jeopardy. It is important to keep that in perspective. “As with all other rights,” he observed, “the Second Amendment carries with it some important responsibilities, not the least of which is to protect our rights from being incrementally eroded by misguided or misrepresented legislation fueled by half-truths and outright lies. “We must never allow a civil right to become a casualty of political correctness,” Gottlieb concluded. The National Shooting Sports Foundation, US Firearms Company LLC, and Eric Fisher filed a lawsuit Monday in Santa Clara County (California) Superior Court seeking to enjoin the enforcement of a new gun ordinance. The ordinance requires sellers of ammunition to keep logs of purchasers, bans magazines that hold more than 10 rounds of ammunition, and requires the reporting of a firearms theft to the police within 48 hours. The ordinance was passed in a special city election with great support from Mayor Bloomberg's Illegal Mayors. The lawsuit contends that the ordinance violates both state and Federal laws as well as being preempted by California state law dealing with firearms. The plaintiffs are seeking a temporary restraining order, a preliminary and permanent injunction, and a writ of mandate prohibiting its implementation as well as requiring notice to the police that the law is invalid. NEWTOWN, Conn. -- the National Shooting Sports Foundation (NSSF), the trade association for the firearms industry, has filed a lawsuit against the City of Sunnyvale, Calif. and the Sunnyvale City Council to prevent an ordinance passed in November from being enforced that is detrimental to responsible and law-abiding firearms retailers doing business within city limits. In the complaint, NSSF and U.S. Firearms Company LLC, a local retailer, are challenging portions of the city's newly enacted gun-control ordinance that violates and is preempted by state and federal law and that imposes an onerous regulatory burden on firearms retailers including requirements that they keep ammunition sales logs and personal information on their customers and that expands and duplicates an existing reporting requirement for lost or stolen guns. "Retailers in Sunnyvale must be federally licensed and already comply with a myriad of state and federal laws in operating their businesses. These businesses should be entitled to operate under the same rules, not a patchwork of different and conflicting local laws across California," said Lawrence G. Keane, NSSF senior vice president and general counsel. "It is unjust to ask retailers within the Sunnyvale city limits to collect sensitive personal information from customers who easily can drive a few miles to a store in another city where such information is not required. Surely, no demonstrable public safety benefit is achieved and only law-abiding businesses are penalized." The lawsuit seeks to enjoin enforcement of the Sunnyvale ordinance. The San Jose Mercury News reports that the NRA will be filing a similar lawsuit in Federal district court. The NRA had threatened to sue even before Measure C was approved, and the group's West Coast counsel, Chuck Michel, intends to file that federal lawsuit Monday, a spokesman for Michel said Tuesday. Michel last month filed an NRA-supported suit against San Francisco over a similar ban on high capacity magazines. But Sunnyvale taxpayers won't foot the bill because of the offer of (San Francisco law firm) Farella Braun + Martel to defend the city against the gun-related lawsuits for free. Farella Braun + Martel has 137 attorneys and is headquartered in San Francisco with a satellite office in Napa Valley. The Legal Center to Prevent Gun Violence (sic), formerly the Legal Center Against Violence, gave them their "Outstanding Pro Bono Contribution" award in 2009 and 2010. Back on September 9th, the Bureau of Alcohol, Tobacco, Firearms, and Explosives issued a proposed rule and opened the comment period. The proposed rule would require Chief Law Enforcement Officer (CLEO) signoff for all NFA transfers including ones for trusts, partnerships, and corporations. As we all know, in many areas, this is impossible to obtain and people go to NFA or gun trust route for just this reason. The comment period is coming to an end tomorrow (Monday, December 9th) at 11:59pm EST. As of Saturday, BATFE has received 7,291 comments on the ATF 41P. From what I can tell, the overwhelming majority are firmly opposed to this proposed rule. The American Silencer Association has an excellent page up on how to comment along with templates for your comments. I used one of their templates and then modified it. Robb Allen at Sharp As A Marble has posted his comment which is much shorter and to the point. There are some variations in the comment section. I think any or all of them would make worthwhile comments to submit. Jeff Know of The Firearms Coalition has his organization's comment up here. They are pointing people to attorney John Pierce's site for examples of short comments as well as some background information on the rulemaking effort. Mr. Pierce has nine suggested comments. It is too late to mail a comment by the US Postal Service but it sure isn't too late to use the Federal eRulemaking Portal. Just ID as being for ATF 41P. All you need to do is cut and paste one of the suggested comments from the links above. It will push up the number opposing it and make it harder for the BATFE to justify going through with this nonsensical proposal. Or at least it should! UPDATE: The number of submissions as of Sunday night was 8,124. That means they received 833 comments or more than 10% of the total yesterday. Let's see if we can double that today! UPDATE II: The comments are now closed for ATF 41P. David Codrea's National Gun Rights Examiner column from Tuesday points to one of the more important submissions. It is from the Firearms Industry Consulting Group of the Prince Law Firm. The submission, which can be downloaded in its entirety here, is over 500 pages including appendices. The comment was submitted on Monday to the Federal and does make reference to a number of the earlier comments submitted. The FICG comments raise serious questions about both ATF’s compliance with established rules and the law, as well as about the Bureau’s relationship with leaders of the National Firearms Act Trade and Collectors Association, which filed the petition ATF says prompted the rulemaking change proposal in the first place. Joshua Prince, one of the two principal authors of the submission, says that the BATFE's actions with regard to the rulemaking give plenty of cause for judicial review if the rule is adopted. While our Comment may seem massive to some, with funding, a thorough Comment with evidentiary support, including expert affidavits, reports, and analysis, would have likely been almost double in size. Nevertheless, ATF’s failure to comply with the Administrative Procedure Act in a number of ways will allow for judicial review, if ATF decides to move forward with promulgating any final rule. If ATF is inclined to move forward with any final rule, it’s best course of action is to start anew and correct all of its violations of law. But, we know ATF won’t do that, because it cannot admit when it violates the law. Hence, the Firearms Industry must prepare to fund the necessary litigation to invalidate any final rule. Given the BATFE's predilection for bending or breaking the law and with the Democrats' packing of the US Court of Appeals for the District of Columbia, this rulemaking bears a lot of attention as it goes forward. The Senate passed the extension to the Undetectable Firearms Act early yesterday evening. It passed without any extra riders to the everlasting consternation of Sen. Chuck Schumer (D-NY). The comment of the day comes from Emily Miller on Facebook who takes note of the fact that President Obama is out of the country attending the funeral of the late South African president Nelson Mandela. Since Obama is out of the country tonight, the White House will use the autopen to sign the 10-year plastic gun ban extension so it doesn't lapse. So he's using a fake signature to ban a gun that doesn't exist. Senior Federal District Court Judge Anthony W. Ishii denied Attorney General Kamala Harris' Motion for Summary Judgment today and indicated that California's 10-day waiting period probably is unconstitutional when viewed under either intermediate or strict scrutiny. The CalGuns Foundation which along with the Second Amendment Foundation brought the case challenging the 10-day waiting period is extremely pleased by this development as noted in their press release below. I'll have more after I've had to read the ruling. Sebastian at Shall Not Be Issued has some comments on the case here. Likewise, Professor Eugene Volokh has his analysis of the decision here. UPDATE: Here is the correct link to the Court's Dec. 9th order denying the motion for summary judgment. A report in today's Wall Street Journal states that Cerberus Capital may have found an investor for its firearms business. The unidentified investor and/or lender would hold a minority stake in the business large enough that Cerberus could let some of its investors sell out their stakes. But Cerberus hasn't reached an agreement with a buyer. The sales process has been complicated by several factors, including subsequent high-profile shootings and financing issues for some possible bidders, the person familiar with the matter said. Some offers were lower than what Cerberus thought was fair, the person said. In addition, some private-equity firms looked at the company but dropped out in early September, the person said. Cerberus had originally sought around $1 billion for the business, a person familiar with the matter said. The new planned deal, including about $200 million in a credit facility, values the business at around $1.2 billion. Freedom early on attracted interest from gun makers such as Smith & Wesson Holding Corp. and Sturm, Ruger & Co., people familiar with the matter have said. Meanwhile, business at Freedom, which was already profitable, has improved. Freedom reported that revenue for the quarter through September rose 46% from a year earlier to $347.1 million as its earnings nearly doubled to $31.2 million. In the post-Newtown shootings hysteria, Cerberus announced that it would sell its Freedom Group firearms business which includes brands such as Remington and Bushmaster. This was, in part, a reaction to the shooter using a Bushmaster rifle which he took from his mother after he murdered her. The California State Teachers Retirement System - the largest teachers' pension fund in the country - is one of the investors who is trying to get out of the investment fund. My guess is that there are other public pension funds who are also trying to sell their stakes in Cerberus because they don't want to deal with pressure from their holier than thou members. Georgia is home to both Glock and Daniel Defense. It is also being considered by Beretta who was reported to have scouted a central Georgia location earlier this year. Now it appears that Georgia officials are working hard to convince Remington Arms to relocate from Ilion, New York to their state. State Sen. Burt Jone (R-Jackson) discussed this in a Q&A session with the Butts County Partners for Smart Growth this past week. Butts County is midway between Atlanta and Macon along Interstate 75. Jones, R-Jackson, said that while Beretta has narrowed its focus to two Georgia locations — not in Butts County — the Remington Arms Company is considering relocating from New York, where its Ilion Firearms Plant and Custom Shop is located. He said state officials are working to try to bring the plant to Georgia and he’s hoping to land it in his district, possibly his home county. Jones discussed the possibility during a question-and-answer session after his remarks Thursday to the group Partners for Smart Growth. He said he is working to get Butts County and District 25 on a list of “potential landing spots” for Remington. “It could mean literally thousands of jobs for a community, wherever it might land,” Jones said. It may only be wishful thinking on the part of the state of Georgia and Sen. Jones that Remington would leave New York. However, it is a fact that the NY SAFE Act has cost that state jobs. American Tactical and Kahr Arms are relocating out of state and others have decided any expansions will be made in outside of New York. UPDATE: Tom at Fill Yer Hands reminded me that Heckler & Koch has operations down in Columbus, Georgia. David E. Petzal, rifle editor of Field and Stream, writing in The Gun Nut blog on F&S's website had what I consider the best comment on the controversy over the NFL's denial of the Daniel Defense Super Bowl Ad. It's possible that this is nothing more than hypocrisy. But the real reason, I think, is that the NFL is trying to protect its investments. The oversized guy who crashes his $150,000 custom SUV into a house and breaks down the door with his fists to strangle the family inside may be someone's number one draft pick, and all those millions his team spent on him would go right down the drain if some terrified homeowner shot him in self-defense. And we can't have that now, can we? It's…un-American. That is truly snarky....and I love it! How Pro-Gun Are You If You Get Money From Gabby's New PAC? Sen. Kay Hagan (D-NC) is not doing too well with North Carolinians right now. The latest Elon University poll from late November reports that only 37% of registered voters approve of her job performance. By contrast, 43.5% of registered voters disapprove of her job performance. Much of this is related to her support for ObamaCare. This may explain why she wants to be identified with hunters and anglers. In early November she introduced S. 1660 which is "To protect and enhance opportunities for recreational hunting, fishing, and shooting, and for other purposes." Interestingly, 4 of the 5 co-sponsors are Democrats facing tough re-election fights in 2014. The bill actually does some good stuff such as exempting excise tax trust funds from budget cuts and providing money for public shooting ranges. Hagan makes a big point about coming "from a family of lifelong hunters" as if this assures voters of her support for the Second Amendment. Hagan voted in favor of the Manchin-Toomey amendment back in April. As I said then and I will say again, any Red State Democrat who says they support the Second Amendment and then voted for Manchin-Toomey is lying to you. As reported yesterday in Politico, USA Today, and Shall Not Be Questioned, the former Gabby PAC has been renamed the Rights and Responsibilities PAC. The PAC is funded with nearly $300,000 from her old campaign account. The goal of the PAC is to funnel campaign money to both Democrats and Republicans who "share her views on gun control" according to a story from late yesterday in USA Today. Of course, whether Gabby has the wherewithal to form her own views is an issue for another day. So who is one of the first to get money form the Rights and Responsibilities PAC? Giffords' Rights and Responsibilities PAC is funded by money left over in the Arizona Democrat's campaign account. The new PAC will start by contributing to the campaigns of Sen. Pat Toomey, R-Pa., Sen. Sue Collins, R-Maine, and Sen. Kay Hagan, D-N.C., said Pia Carusone, a senior Giffords adviser. All supported a measure fashioned by Toomey and Sen. Joe Manchin, D-W.Va., that would have required background checks on all commercial sales of guns. That provision and other major gun-control measures failed to pass Congress this year, despite widespread calls to overhaul the nation's gun laws after 26 children and adults were gunned down last December at Sandy Hook Elementary School in Newtown, Conn. So how pro-gun are you really if you get money from Gabby's gun control PAC? I think the answer is obvious - not much. Just like Hagan lied about you getting to keep your old health insurance, her support of the Second Amendment is also suspect. The only question in my mind is when soon-to-be former Mayor Bloomberg digs into his own deep pockets and contributes to Kay Hagan. Are Not Southern Law Schools Good Enough?